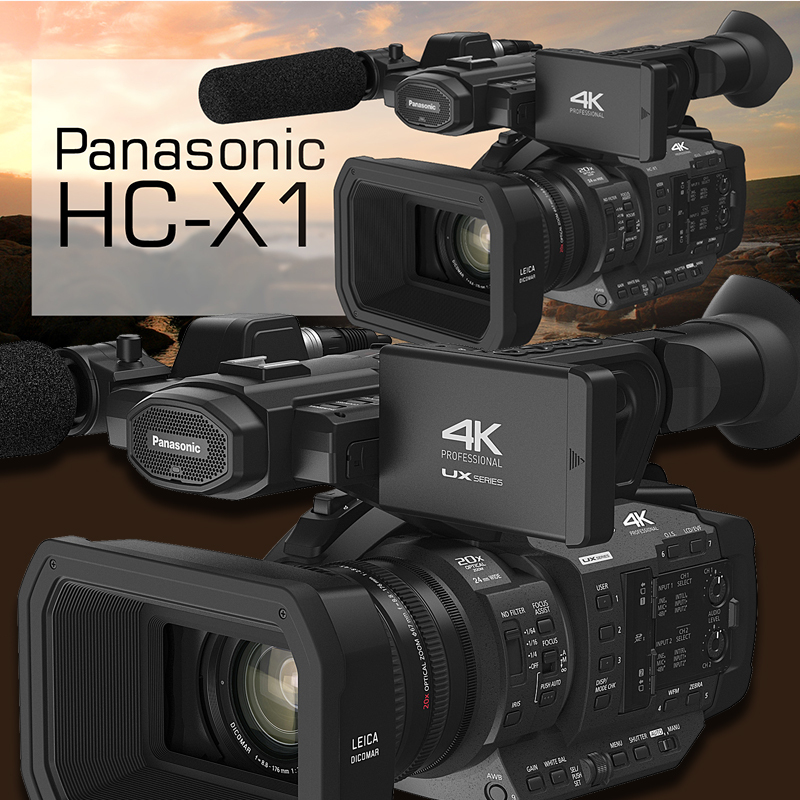 Panasonic introduces two new 4K models in the professional field the UX180 and the UX90, while the domestic side bring us the XC-X1. The lesser Panasonic AG-UX90 (AGUX90) 4K Handheld Camcorder has UHD 30p recording and a fixed 15x Optical Zoom Lens and a price point of £2500. As far as we are aware the only difference between the UX180 and the HC-X1 is the SDI socket (UX180) so if you don’t need SDI the obvious choice must be the HC-X1. Why do companies do this ? Your guess is a good as mine, but it still give all of us a choice and thats no bad thing. On the specs alone, the HC-X1 looks like a total bargain at GBP 2160. My Sony Z150 with only 25p/30p needs a firmware update to give it 50p/60p urgently. Shame firmware won’t give me the 24mm wide angle of the HC-X1 – this camera will be another winner I expect for Panasonic. I almost posted on your UX180 NAB announcement post earlier in the week to see if you could spot any difference other than SDI (& timecode). Does seem a big price gap if the X1 truly isn’t limited in any other way. Hopefully it will be a good improvement on the X1000. I would still like to understand the market logic of these cameras (specially the UX180) when they have the DVX200. In the DVX200 you have basically all these specs (except the 20x Zoom) and you still get 120fps in HD, 4KDCI @24p. I really can’t compare at this point the auto-focus quality between these cameras and the DVX200, though… But one thing is certain. With 1″ sensors, these new cameras seem more targeted for deeper DOF kind of work, like events and corporate works which may require a more run n gun shooting style. The DVX200 still is more of a compromise between that, and a B-camera for some drama style shooting. Do I go for the Panasonic HC-X1e or the AG-UX90? Similar prices, in fact the UX is branded as pro and the X1 as consumer!!! HDW : No confusion the HC-X1e is the better camera out of the two as its the 180 without SDI and Time Code. Does HC-X1 has image stabilization with UHD and 4K? Will list out the Difference between UX180 and HC-X1? Which one is better? HDW : Both the same picture quality.